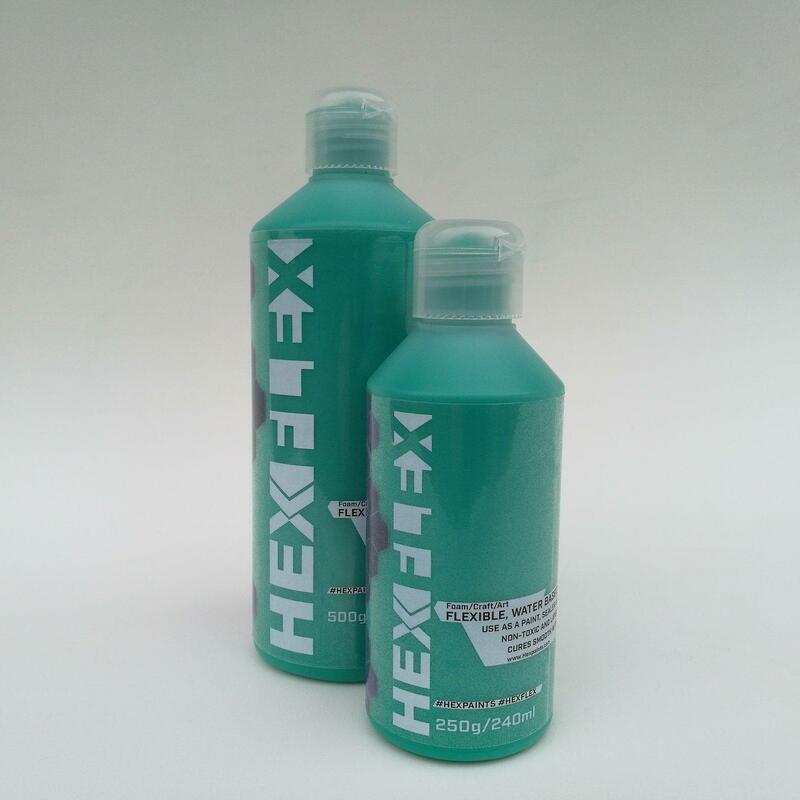 Hexflex is a water-based, fully flexible, durable brush on paint. It is Latex free, won't crack & cures with no tack. Available in a range of colours & clear. Clear can be tinted with water based acrylics. 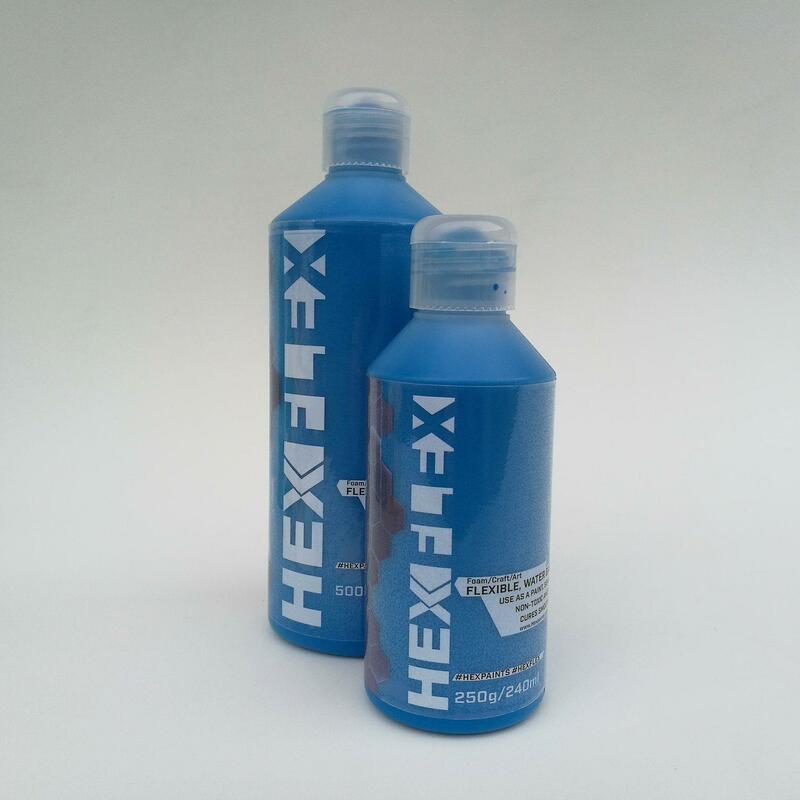 Hexflex is simple to use! You can apply straight to foam surfaces (you may want to heat seal first), but you can also apply to almost any surface including polystryrene, wood & fabrics. 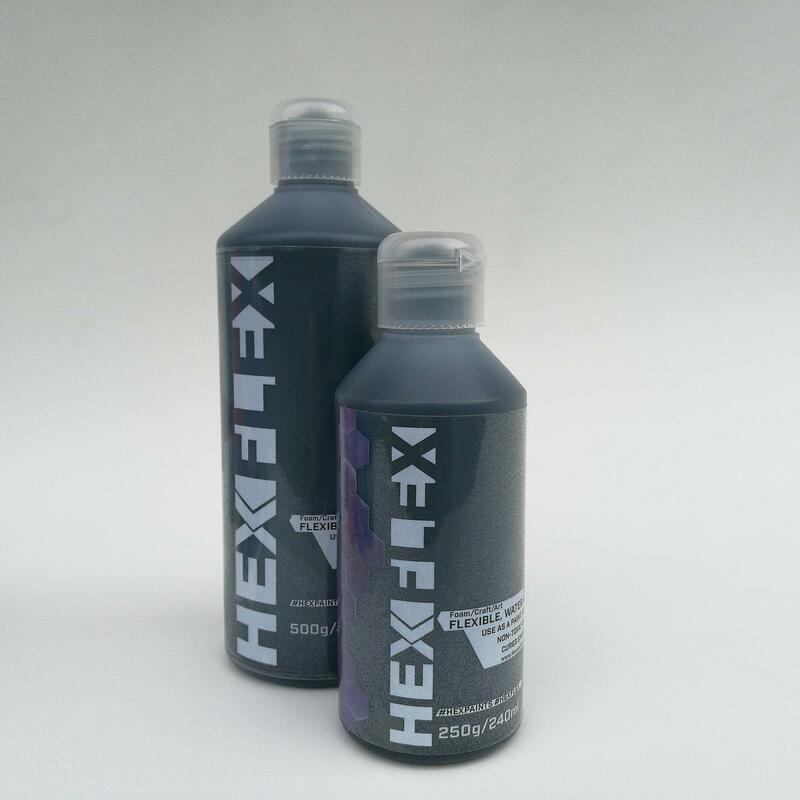 -Hexflex Clear can be mixed with other acrylic paints to gain a specific colour/effect. 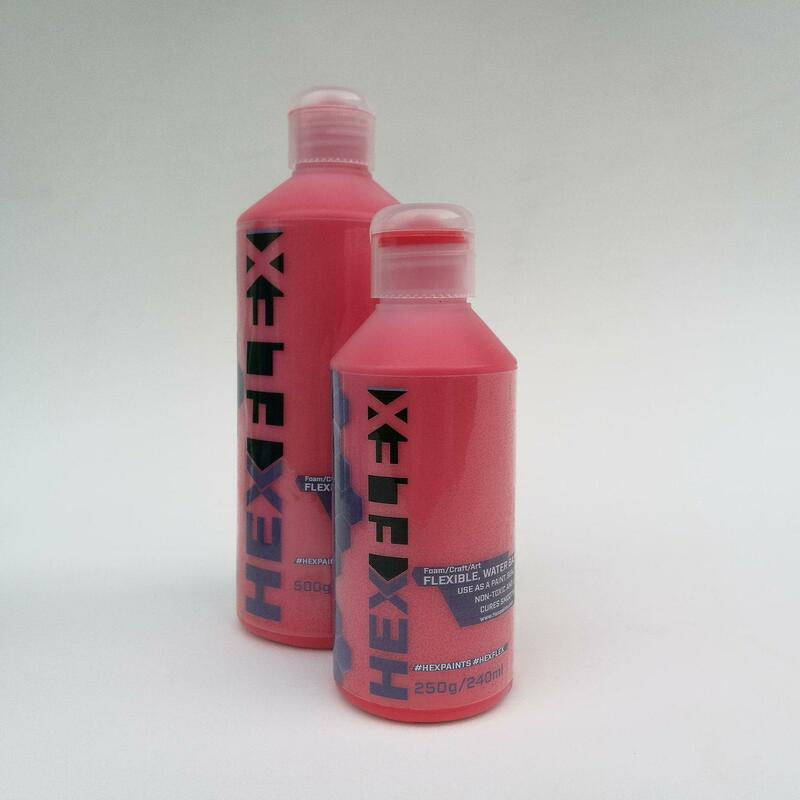 -Hexflex Colours can be mixed together to acheive the desired colour. 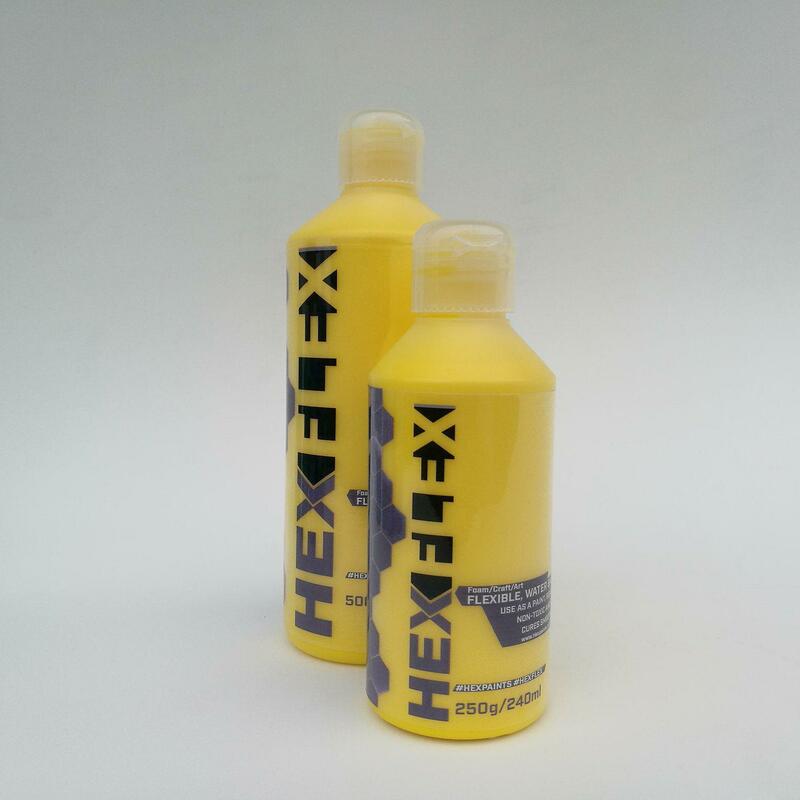 -Hexflex can be thinned with water as required, to the desired viscosity. Can be thinned enough be put through an airgun. *Please note: drying times can be considerably improved (20-30mins) with a gentle hot air source (heat gun or hair drier ect). Drying times are estimates and may be quicker or slower depending on local conditions.